Earthing monitor for dust. Connects the object to the earth without generating sparks at the clamp as the control unit safely discharges all static electricity. Earthing monitor for gas. Connects the object to the earth without generating sparks at the clamp as the control unit safely discharges all static electricity. We all know what static electricity is; take a brisk walk on an office carpet and then touch a filing cabinet. You may get a mild shock which isn’t painful but will certainly take you by surprise if you are not ready for it. Now imagine the build-up of static that a road tanker can generate and it isn’t difficult to see why tanker earthing is so important especially where the cargo could be a volatile product such as a powder or petrol. 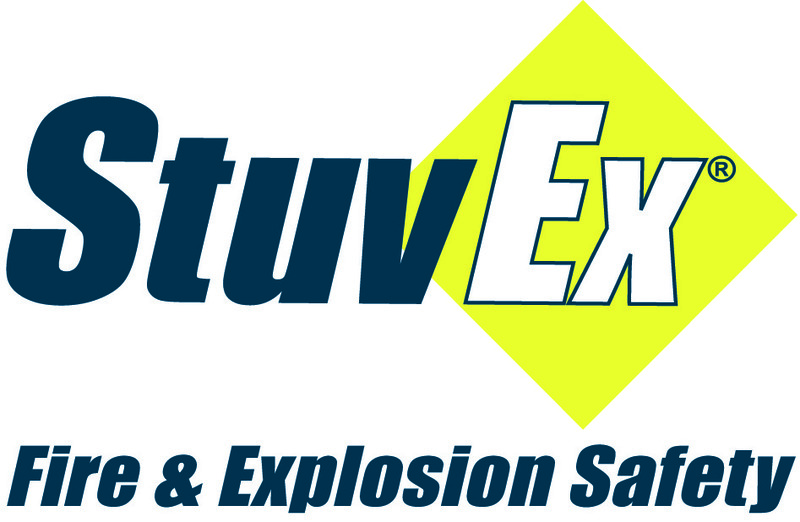 StuvEx manufactures two earthing control systems – both ATEX Certified - which are guaranteed to combat the effects of static build up; one for dusts and powders the other for gas. 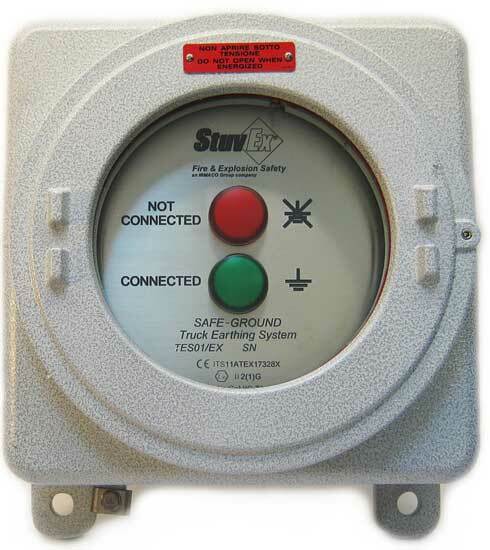 With a StuvEx system installed, road tankers and other delivery vehicles, silos and even FIBC’s can be permanently monitored. There are three types of earthing control. The resistive earthing system is for low conductive resistance of an object or fixed installation and is meant for items such as barrels, carts and other metal objects. With a resistive system, a process simply won’t work if the earth is damaged or not functioning. A capacitive system also recognises that the connected object is a road tanker. 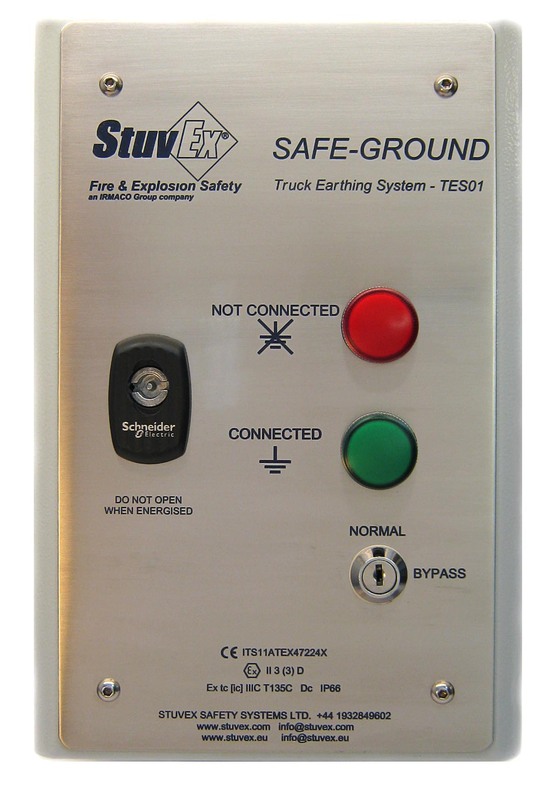 The earthing system will only function when there is a good connection to the road tanker. Otherwise it would be possible to connect the earthing clamp to any object thereby bypassing the tanker and defeating the object which is to safely earth the tanker. It will connect the object to the earth without generating sparks at the clamp as the control unit safely discharges all static electricity. With an interlock installed, the monitor will not allow a product to be discharged until the tanker - or other object – is correctly earthed.